Boy Mack I really appreciate this encouragement. I've been blogging for 6 months. I have nice conversations on twitter and facebook, but getting comments on my blog posts is slow going. Maybe it's my blog niche, I'm an MD blogging on medical skin care/health care information. When I do get a comment it's so rich! My readership is slowly growing and it will be interesting to see if comments grow with it. The #1 reason you're a prominent blogger, in my opinion, is that you engage with readers and other bloggers with ZERO prejudice about experience level. It genuinely doesn't matter to you whether someone is an A-List blogger (who picks the A-List, anyway? ), a rising veteran, or a newbie. Too many bloggers I know think getting the attention of Mashable, Tech Crunch or HuffPo makes them a big deal. The dedicated blogger who nurtures a community -- no matter how small -- is the one who impresses me. Keep up the good stuff, Mack. Thanks for teaching me as much as you have. Great article. I never thought about the benefits of disagreeing! You're right though, that people rarely disagree in a respectful way. If you're not respectful, chances are that your comment will not be approved or deleted. When you are new, you also need to seek out other bloggers with your viewpoints. When I first started, I thought there were zero Christian bloggers because I did all kinds of searches for them, but came up blank. I kept searching, when I found one, I went to every blog of every commenter and left comments. Then I kept going back to those blogs, kept searching and soon we had a blog roll of about 100, and it wasn't even my own blog roll. It is HARD work, and you can never slack off because today we have attention spans of about a minute. Another problem I found was those who lost interest in blogging and didn't update their blogs for months. So there is a need to keep on searching for new blogs to comment on in order to replace the ones of those who quit or who rarely update. One thing I noticed early on with my blogging was that even though when I first started out I was only getting maybe 20 visitors a day, almost every new post had a few comments. Because I was making a concerted effort to connect with my readers. Then I began to notice how some other bloggers that were getting 100X my daily traffic, had FEWER comments on their posts than I did! That's when I realized that overall readership numbers alone doesn't matter when it comes to level of engagement. And if you have a readership of only 20 people a day, BUT those 20 people are all close friends that comment on your every post, then your level of engagement on your blog can suddenly challenge much bigger blogs. Which also means if you link to my blog, most of those 20 readers that are commenting on your blog, will probably come check out my blog, and comment here. This is why there is SUCH a big misunderstanding about the true level of 'influence' in social media. The users that have large followings often aren't very engaged with those followers, while ones that have a network a fraction of the size, are very engaged with that network. Numbers alone never tell the whole story when it comes to blogging and social media. I think slow and calculated is the plan. Nuture is a great word, take your time. Thanks for this article! I feel like I'm in the same position you were when you started. My blog is less than a year old and it's helped me learn more about myself and developing and sharing my thoughts. Now I am at the point where I want to really get my blog visible and I appreciate your thoughts. One thing I've done is enter a blogging contest---mainly to see what would happen--and now I'm a finalist! Mack, you were my very first commenter, and I always talk about you when I am asked how my blog got started. You were so encouraging, and then the Z-list came along (which you started) and you embraced your community. Thanks for continuing to encourage new bloggers. 3.5 years later, I am still going! Mack, I love your post! You are always spot-on. And you are always willing to help those who are just starting with their blogs. You are selfless and you helped me personally a ton with your feedback which I value and truly appreciate! Love the point you made about how bloggers really want you to disagree with them. I love to debate in the comments and have lots of voices chime in... makes the post sooooo much better. Thanks for reminding folks of that point. Find that A list bloggers often try to pass off disagreement as trolling. If more people were prepared to disagree, they would be less likely to try this "not listening" tactic. I think consistency is one of the most important things in making a name for yourself ... whether it's consistency in how often you blog, comment, connect with people, etc. It's all about consistency. Kevin I hear what you are saying, and unfortunately, some bloggers are VERY insecure about having any of their points challenged. I think the problem with that approach is, besides looking like a jerk, is you simply encourage more angry comments and even posts about you. Someone just pointed me here and I'm so thankful! I've been blogging 8 months and get lots of comments when people disagree and debate me. But when they agree (or just don't engage, I guess), not so many. I appreciate your insight about commenting on all the commenter's sites -- the importance of that never really hit me before. I comment all over the place when I think I have something to add. Like Kevin, I had a discouraging experience disagreeing with a well established blogger. I was polite, and have supported her, too. The second time I did it, she stopped following me on Twitter, even though (just as you described, Mack), my challenging comment brought many, MANY more comments in her favor than she ever would have had otherwise. Her buddies all took me apart. I blog about parenting, and it can be a sensitive topic. I'm still working on getting a thicker blogger's skin myself, having shied away from conflict my whole life! Mack, thanks again. I once had the unfortunate experience that Kevin and Janet did--being torn apart by the other commenters because I questioned (politely) the blogger's point. He lost me as both subscriber and Twitter follower because it was such a hostile environment in the comments. I did gain a Twitter friend through the experience. Both of us had been slapped and we found each other via Twitter to commiserate. So we made lemonade out of very sour lemons. I'd rather remember the thrill of having a recognized blogger comment back on your own blog when you're a beginner--simply can't be overestimated. Early on someone did that for me and I just had it happen again. Since you linked to this post tonight in #blogchat more folks will read this advice. Hope the comment karma spreads! I have one A lister I really would love to have a short and sweet blog post but I don't know how to approach him. I have tried multiple ways and I have failed. Yet, this person is always in the back of my mind. Yes it is hockey related... LOL! I love controversy. 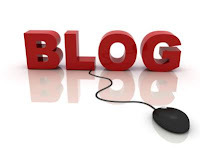 I am participating in a blog community (where there are multiple blogs for one topic) not quite sure what you call it. Anyways, I am the only one who does not like a particular player (hockey again) and I seem to be the only person commenting too. I figure if we don't start the conversation than no one will jump in. Great post - for me, I am rather amazed by the low quantity of 'social engagement' within the wonderful world of social media. Sure, the Tier 1 bloggers can post "Burp" and get 1,000 comments about the brilliance of the post (with a handle of posts challenging the post just because that's how they roll). But get beneath that level and the number of people working the crowd - commenting, engaging, conversing - is small. When I started blogging, as well as tweeting, I expected a lot more 'social' - then I realized it's all about quality, not quantity. Your two principles - embrace and challenge - are all we can control and it pays off in delivering great relationships with those also willing to embrace and challenge. Those are the relationships that get me going in the morning, keep me going late at night. For those not following these principles - you don't know what you're missing.